The £35 million project delivered alongside Hunters South Architects, Farans Construction and Hillingdon Council will offer 1,080 school places for pupils in Hillingdon. 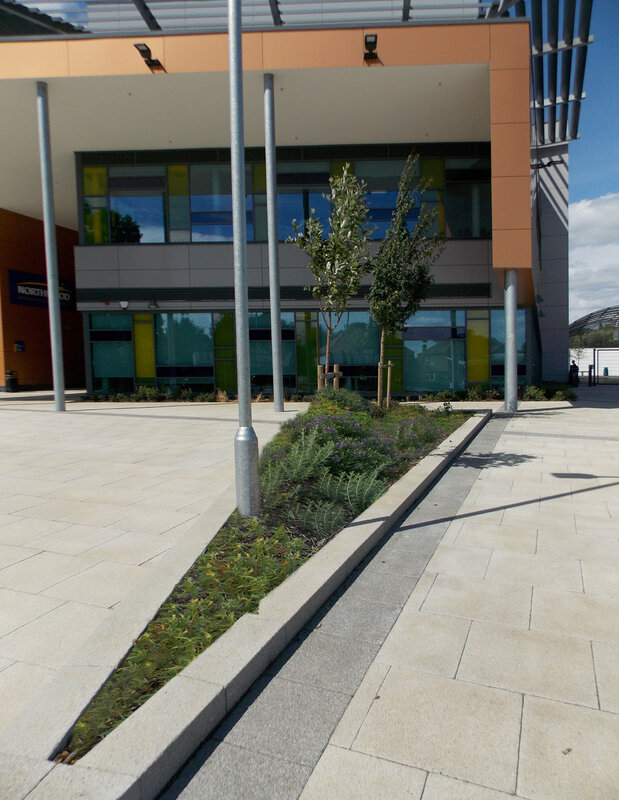 LLD were comissioned to prepare a landscape design strategy inclusive of hard and soft play areas, access and car parking provision, sports provision and internal frontage and boundary planting schemes. Based on the scheme proposals, the landscape and ecological enhancement measures have been designed and specified with the aim of enhancing species and bio-diversity, whilst providing identity to the school frontage and boundaries. The development was shortlisted for the London LABC Building Excellence Award 2017, for 'Best Educational Building'.